I have been self tanning since my teens and over the years I have perfected my routine. 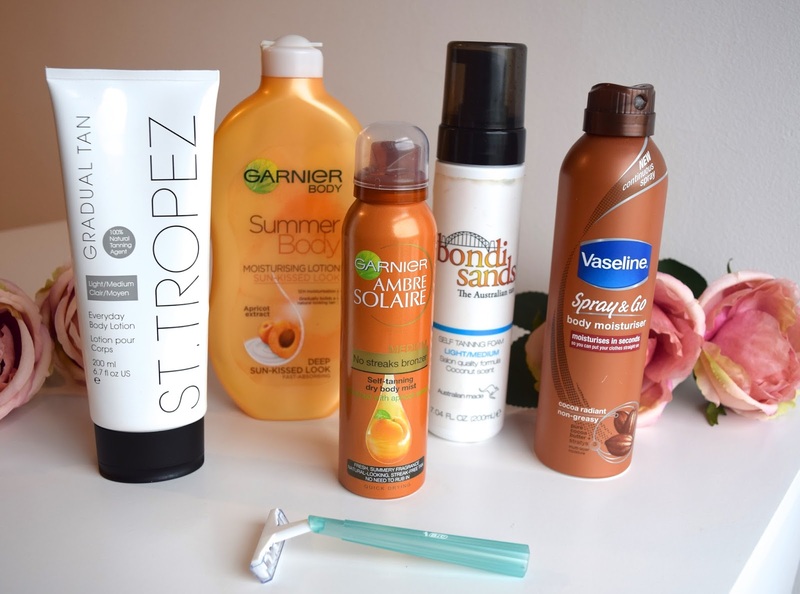 No matter what season it is I will always be wearing fake tan and every time I apply it I follow each of these steps to ensure I am streak free & glowing! 1. Exfoliate your body using a scrub and if you have one use a body brush. You need to get rid of any of that 2 week old tan you have on and buff away any dry skin you may have. 2. Remove hair from your legs before you apply your tan. Especially if you shave or wax because you don't want to take off any of your tan afterwards and then end up with really tanned feet! 3. 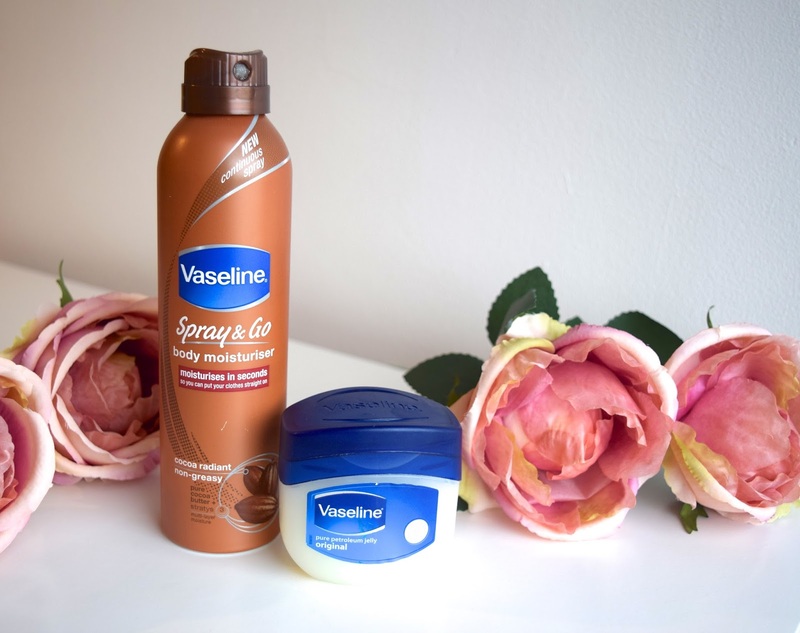 Moisturise your elbows, knees, hands and ankles. I normally use Vaseline because it creates a great barrier. Fake tan has a habit of clinging to these areas and makes them appear darker. Be sure though to rub the moisturiser in evenly. 4. 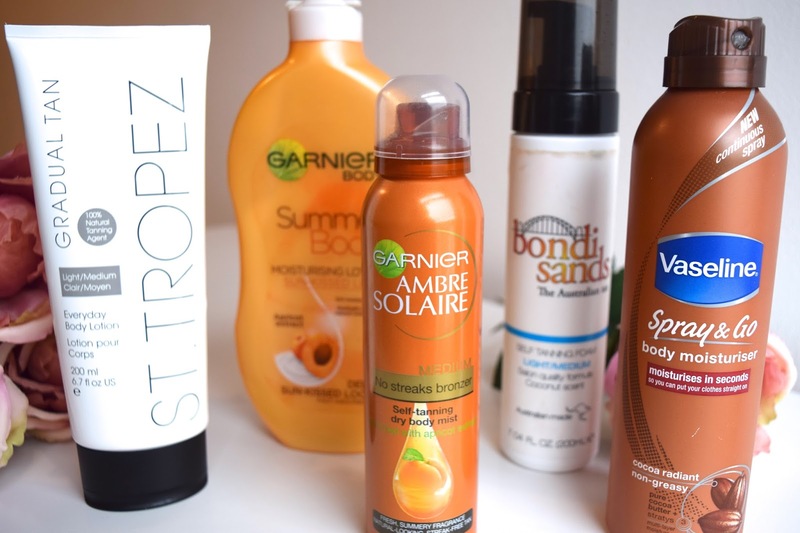 Use a gradual tanning moisturiser like this St Tropez one or Garnier moisturiser. As well as beginning the tanning process it also acts as a sort of primer so that when you apply the proper fake tan there is already an even coat on your skin. Since i've used this step especially i've never been streaky. 6. Apply one less coat to your face. This one is for those of you who wear foundation. Your foundation is typically slightly darker than your natural skin colour and if it's not, if you wear bronzer then you will want to equal out the tan anyway. I know a lot of Youtubers who don't fake tan their face at all but I don't tend to wear a full coverage foundation so I like to go somewhere in between and blend it all in! 7. Speaking of blending, have you tried using a make up brush to blend your fake tan? Especially around the face and neck area I find that the mitt can be quite big so by using a brush I can ensure that I can get into the smaller areas and be streak free! 8. Do not forget behind your ears and the back of your neck! Even though you can't see them that well, other people can! 9. Use a hair dryer on a 'cool' setting to dry your fake tan. Yes you may look like a bit of an idiot stood there for 5 minutes in your pants but you won't have that sticky feeling when you put your clothes on! 10. 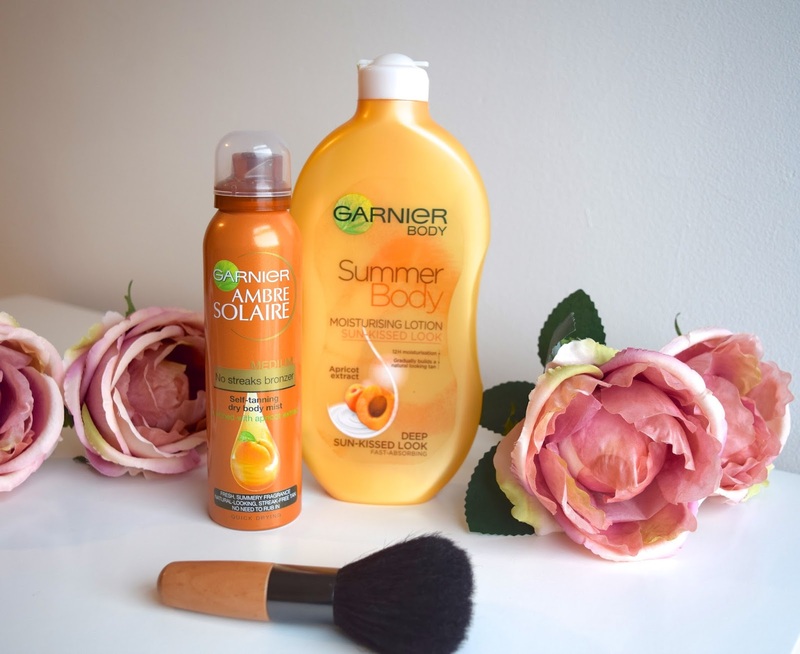 To keep your tan going for as long as possible you need to moisturise every day. 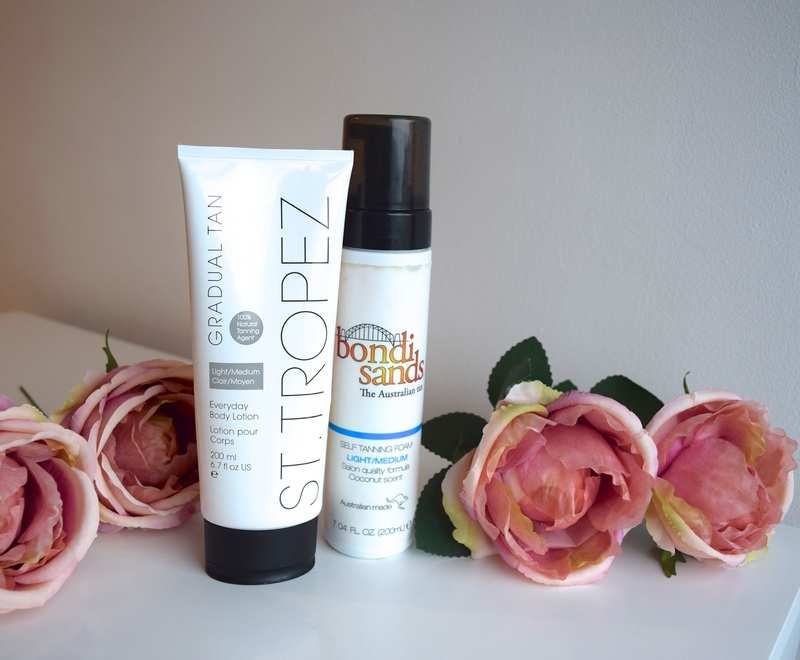 If you want to keep that glow you could even moisturise with your gradual tanner. Whatever you do though, do not put tan on top of old tan if it has already started to come off. You know what I mean, when the crease on the inside of your arm now has a lovely pale circle in it? Forget it. You need to start right back at number 1. I hope that some of these tips have been helpful and please let me know if they work for you! I've used many fake tans over the years and there has never been one that has really stood out, they've all been quite good. I still occasionally use one from Home Bargains which is only like 89p? !